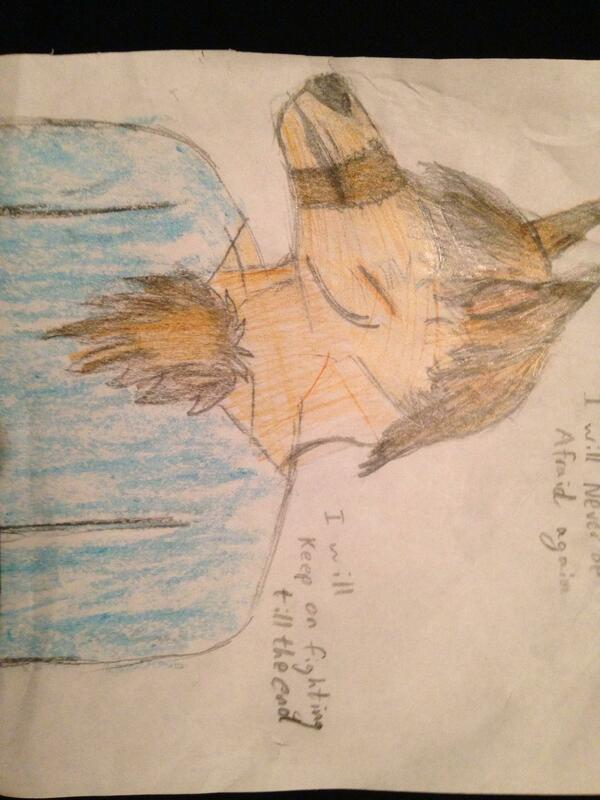 Wildhead_the_fox does art! 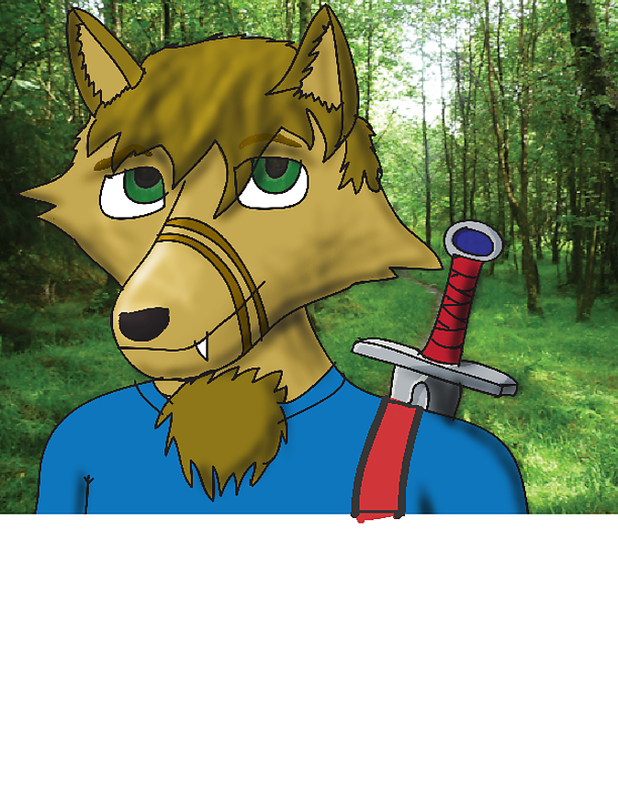 - traditional and digital artwork - Furtopia | Family Friendly Furry Forum and IRC Chat! This is my first attempt at an art thread, so feedback is greatly appreciated! 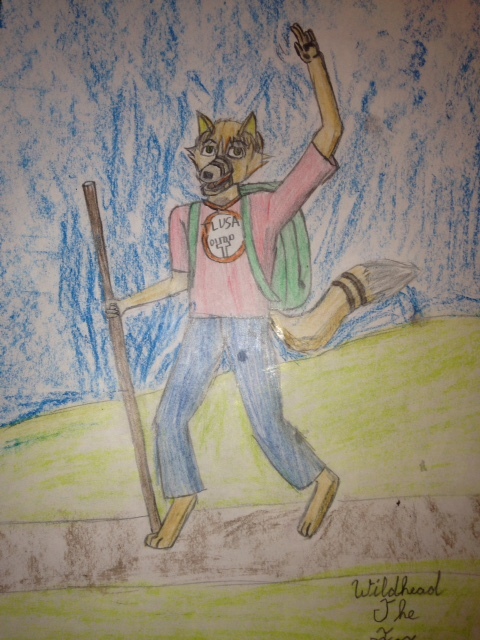 here is my first piece, "hiking!" its not posting the picture!!! thank you so very much, Loc! Not bad! Nice shading on the sword. This one I did for the holidays! 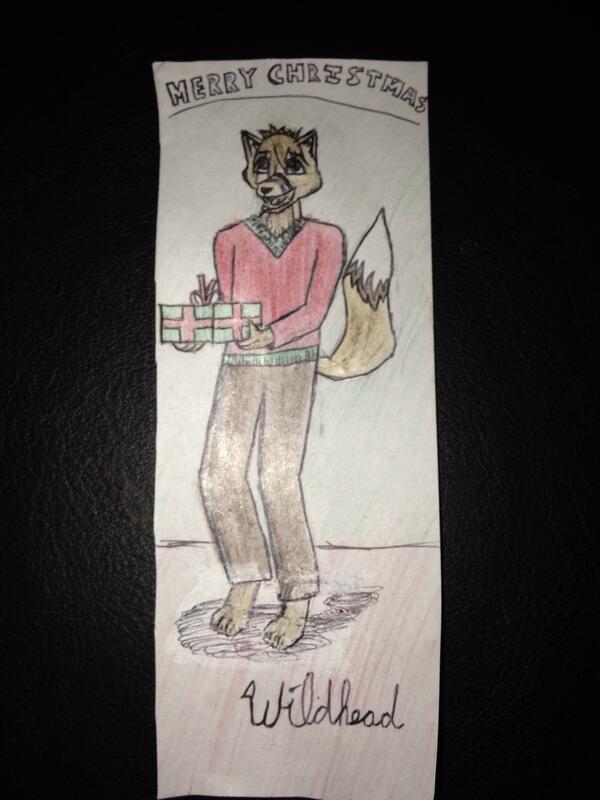 It was my custom gift tag and holiday bookmark, so basicly my whole family! "I will never be afraid again, I will keep on fighting till the end..."
He is repeating the phrases because he may be undergoing some form of PTS. Oh well, sorry for picking it apart for ya.